This assessment page is designed to provide useful documents to assist with parent and student understanding of assessment at BGS. If however you do have any questions please don’t hesitate to contact your child’s form tutor at school who will be happy to help. Review of Centre Assessed Marking Policy – This outlines the Burnham Grammar School policy for an internal review of coursework. This is only relevant to Year 11 & 13 students in subjects with a coursework component. Review of Centre Assessed Marking Form – This is the form you will need to complete should you wish to submit a review. Please ensure you read the policy guidance first and adhere to the dates provided. Centre Assessed Marking Review Parental Letter – This is a copy of the letter sent to all parents on the 15th February. 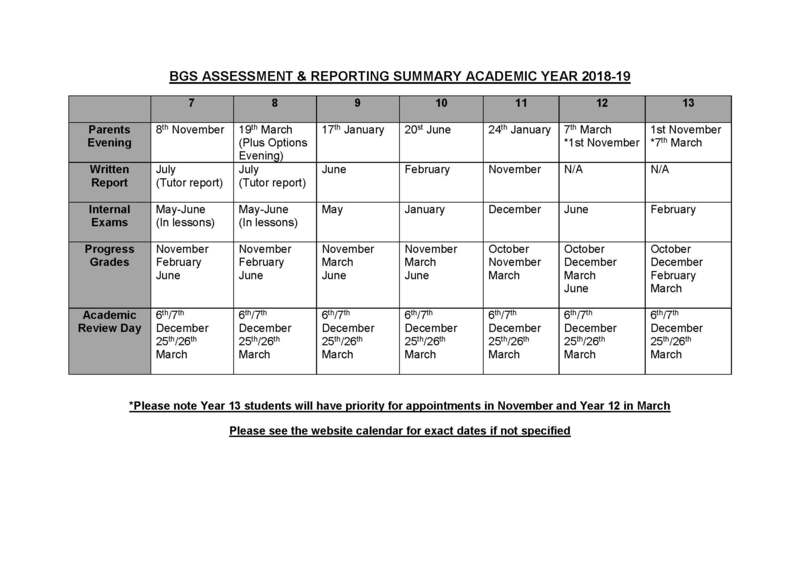 BGS Assessment and Reporting Summary – This provides parents with a summary of the assessment and meeting dates for the academic year.